I can assure you, being in this profession for 20 years, I have tried many make up lines. I always look for quality, but price is also important. So what if you could get a superb quality that costs less than Mac? Motives Pressed Eye Shadow has similar colors, however it is much more pigmented. It is priced at $12.50 (Vs $16.00) plus when you purchase it from their website, they pay you CashBack to purchase it! Thanks Ash Mac for this comparison. 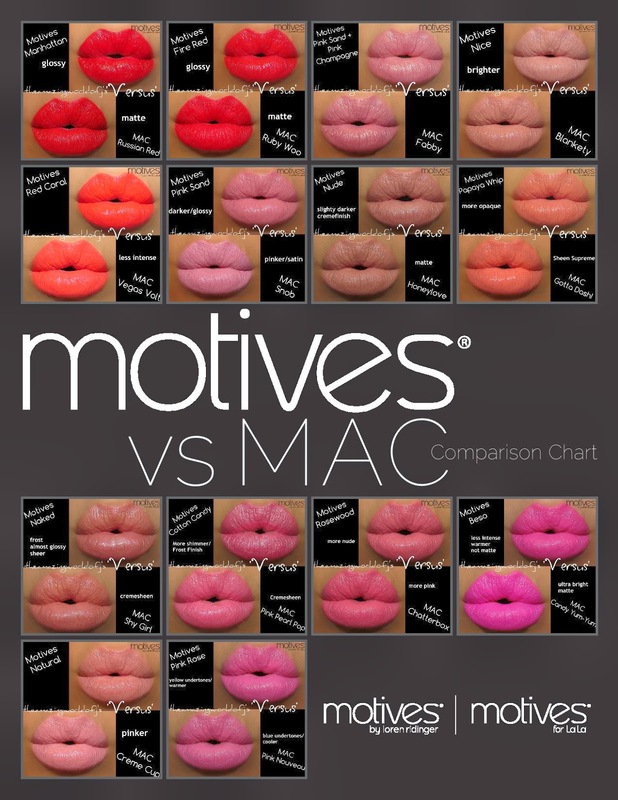 Thanks to Instagram artist @theamazingworldofj for her comparisons on Motives Moisture Rich vs. MAC Lipsticks. 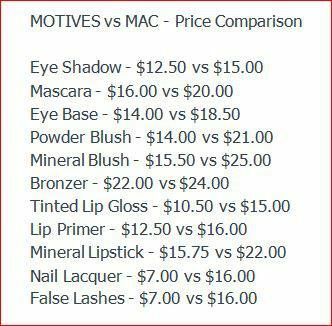 Motives has great staying power and prices: Motives $15.75 vs. Mac $22.00. Don’t forget, Motives will pay you $.32 to buy it too! So I can honestly say, “You get what you pay for!” is not the case in this scenario!! You will not always pay less, but you won’t be disappointed in the quality, and all of that CashBack really adds up. You can use it on future purchases, or after it accumulates to at least $10, you can request a check that will be sent right to your house! If anyone else has more comparisons, I’d love to see them!